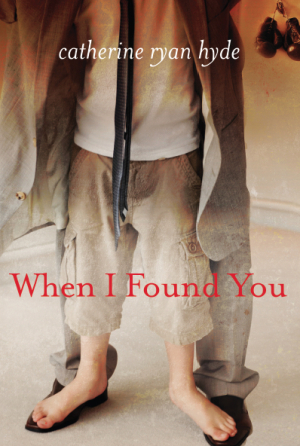 I've been getting a great number of requests from book groups who are reading When I Found You and looking for discussion questions online. The book has enjoyed a huge swell of popularity in the past ten months or so. And I'm happy to say lots of people are reading it. As to questions... well... there weren't any. The book was first published in the UK by Transworld (Random House Group) and about half the time they come up with a discussion guide. For this one they didn't. I don't think of myself as being very good at writing those, so in response to the requests, I asked my wonderful editor at Amazon Publishing if a guide sounded like a good idea. He thought it was a great idea! He said he'd be happy to post one as soon as I came up with it. Well, it seemed like time to give it a try. But, as I say, I don't have a lot of faith in my abilities with these. I've done maybe one guide before. But I drafted this out, and I would really love some book group feedback on it. If you are a member of a book group, I'd appreciate it if you'd take a quick look and tell me if it looks like something that would lead to a good discussion. If you're part of a book group who's planning to discuss When I Found You, please do take this for a test drive. Let me know if there's something you think would make it better. You can view/download the guide HERE.